Enjoy the luxury of fabulous CITY VIEWS and HILLSIDE VIEWS from the wraparound deck of this super nice Orchard Mesa home! Multi-directional views make this home truly unique. 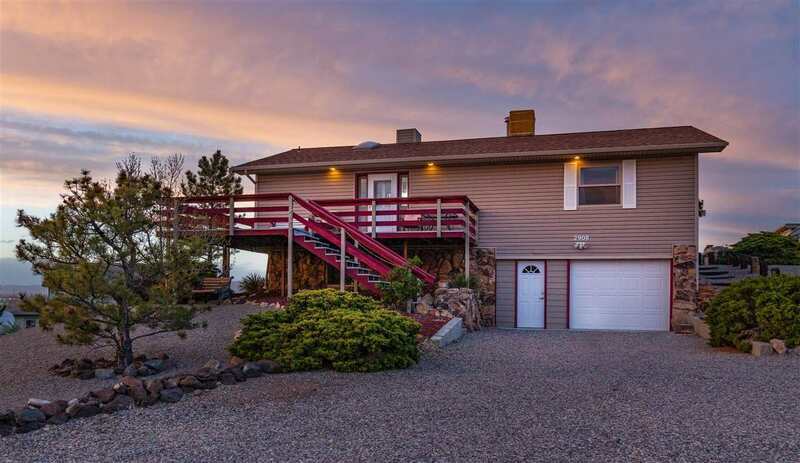 Well-maintained rancher with basement, on a beautifully xeriscaped, Â½ acre lot. Low maintenance yard. Updated flooring on main level, vaulted ceilings, skylights, R-22 insulated walls. Instant hot water in kitchen, 2019 remodeled master bath. Newer hot water heater & boiler. 2 sheds currently set up as chicken coop. Located minutes from historic Old Spanish Trail. Privacy at the end of 29 Road. One-car garage can easily be converted back to a 2-car garage."